On our way back from the south west we stopped for a night with Jen and Rob in Bristol. Jen had told me that Bristol is considered by some to be quite like Melbourne, and I could certainly see the similarities. 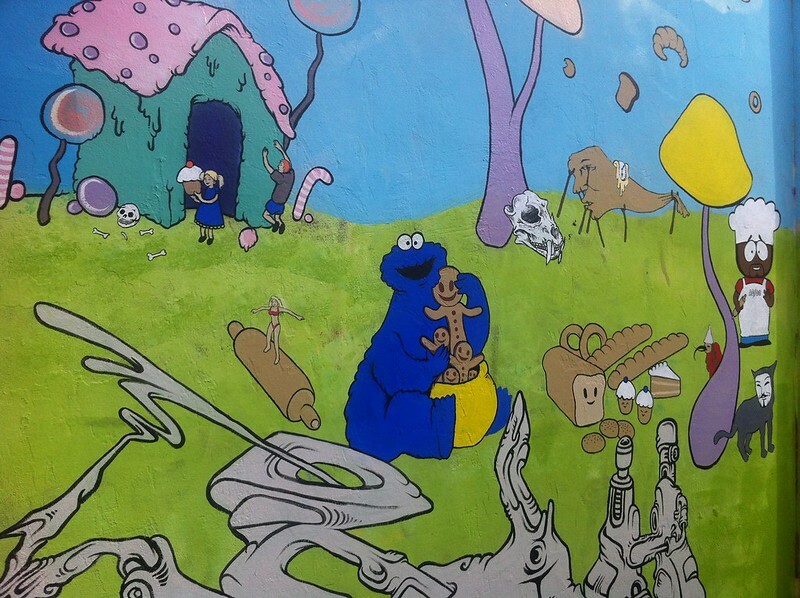 There’s lots of (good quality) graffiti and there seemed to be strong and varied cultural scene. More people with dreadlocks and op shop clothing than I’ve seen in a long time. Jen took us for a walk to a green hill very close to her house, from which we enjoyed and excellent view of the city at sunset. Then we walked through a huge area of allotments that reminded me of CERES and a community farm just like Collingwood! I think if I was to come back to stay for a while Bristol would certainly be somewhere I’d consider. We had a couple of drinks at a pub before heading to Thali Indian restaurant. I wish I’d taken some photos of the interior, it was an astoundingly bright mix of blue, teal and dark pink. Completely different to any other Indian restaurant I’ve seen and full of character. The food was fantastic too. Luke and I are already moaning about missing the food in the UK and we haven’t even left yet. Afterwards we went to see a really funky band, then ended the night at Jen and Rob’s, laughing at Rob doing the Birmingham accent and chatting into the wee hours. We left the next afternoon, much later than I anticipated and got stuck in horrendous 4pm Friday traffic. I swear I’ll never complain about Australian traffic again. You really have to think about what time you’re planning on being on the road here – we spent over half an hour crawling along at virtually walking pace. Still, it was worth it for the huge English breakfast we had at a cafe near Jen’s. Bristol – we’ll be back one day! 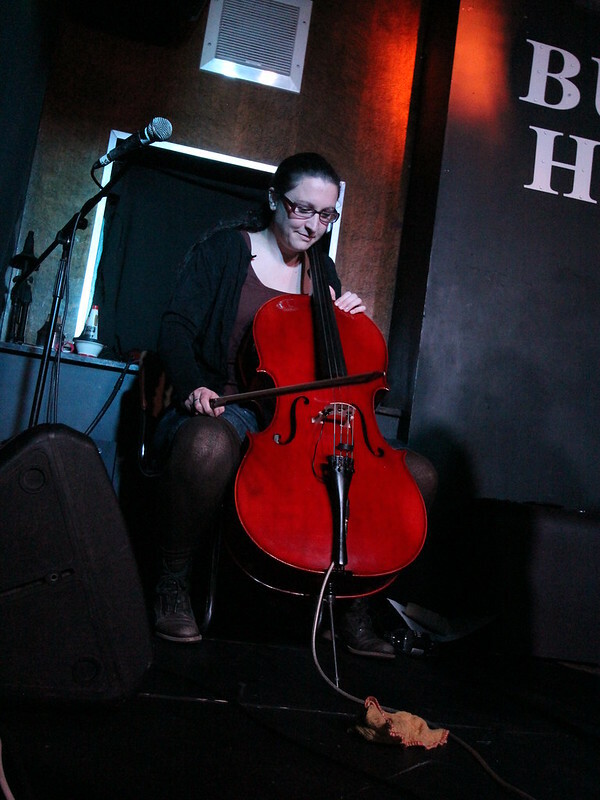 On the subject of Jen, I completely forgot to write about going to Birmingham a short while back to see her play her cello with a band. It was only a short set (or maybe it just felt short?) but the music was lovely and it was the first chance I’d had to meet her partner Rob. 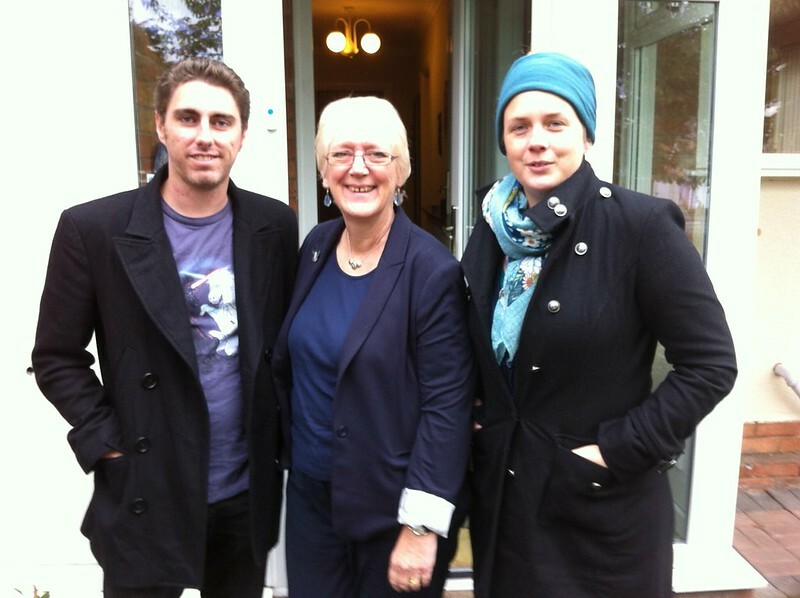 Before the gig Luke and I had lunch with an old friend, Liz – my friend Sarah’s mother, who conveniently lives in Wolverhampton, not far from Birmingham. We met up at her house then went to a pub for a roast lunch. The food was great and it was lovely to catch up and hear Liz’s plans for visiting Sarah (who lives in Melbourne) for a few months around the time Sarah’s baby is due. While we’ve been overseas it seems like half the 30-something people in Melbourne have had babies or are about to. It’s weird to think that a few weren’t even contemplating children when I left and when I get back they’ll have babies in their lives. I’m looking forward to meeting all these brand new people :-). One day I’m going to learn, for once and for all, that it’s always worth getting my good camera out to take photos. Was great to see you, Liz! Jenny looking lovely 🙂 I don’t think I’ve ever seen her play live, you’re lucky! I’m sure if you ask nicely she’ll bring her cello to Australia next year. Or maybe not. Pity she doesn’t play the flute! Penny: I know! I curse mandolin players and their tiny, portable instruments! Nice post, do come back soon – I had so much more to show you! I’ll definitely be back to Bristol! Things must have changed since last time we were in the UK. I’ve never heard anyone actually praise and enjoy the food. It seemed like chips went with everything and the salads were the awful 1940’s style, limp lettuce, wedge of tomato and a piece of cucumber! Must be time to revisit! You’ve inspired me. Please tell Luke I haven’t commented on his videos because I keep waiting to look at them on my big monitor to do them justice. Looking forward to it though. Aw, you’re so nice! Not as many people tend to comment on (or, I think, watch) the videos because they are at work or in public ad can’t have the sound, so Luke’s always thrilled with comments:). Food here has *definitely* improved. I lived here a decade ago and didn’t think much of it at all then. The Indian was fantastic and that was it. Now… I can think of at least 10 restaurants that we’ve eaten at that would give any place in Melbourne a run for their money – and often at better prices. Now they just need to stop calling the gourmet pubs ‘gastro pubs’. Blurgh. I hate the term gastro pub. It makes me think the food will not actually do nice things to your belly. How anyone could’ve thought it would make a place appealing to eat at I do not know. I can’t wait to get back home and cook! A friend was saying that everyone in NY eats out and hardly ever cooks – in fact his friend here cooks about once a month and her friends think she’s a domestic goddess;).